A Light Whine of Pulled Pork, Total Wine and Costco Brie | What Goes with What? A couple of Sundays ago we were running along a Sonoma wine trail barrel tasting event (imagine that) in Kenwood and Glen Ellen (yes those are places not just bottle labels) and stopped in to visit with the folks at Sunce Winery. As we sampled they brought out a plate of pulled pork sliders that were quite tasty and one thing lead to another and I walked away with a recipe. Janae, our tasting guide and an owner told me that I must be certain to give credit to their cook Denise Stewart for the recipe, so there you go Denise and thanks. Be sure to check out this month’s recipe for Denise Stewart’s Pulled Pork Sandwiches with Homemade BBQ Sauce and Secret Topping Sauce! 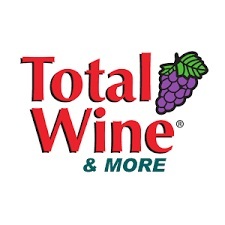 Total Wine is the largest family owned wine retailer in the United States with 174 stores and roughly $1.4 billion in wine sales – it’s the fourth largest wine retailer in the country are you ready…. after Costco, Albertsons/Safeway and Kroger – think about that people – you’re buying most of your wine in a grocery store with little or no chance of finding any kind of qualified help, shame. Florida is its’ largest market followed by Texas, New York, and perhaps surprisingly, Minnesota, yes Minnesota and 18 other states. They are in California but not Illinois, yet. The closest store is in a suburb of Milwaukee WI. Premiumization: on average, wines sells for roughly $15 per bottle and while pricing hasn’t increased on most brands for five years consumers are increasingly willing to try new brands at slightly higher prices. He said nearly 10 percent of Total Wines’ wine sales are at more than $50 per bottle. Cabernet Sauvignon: Above $20 price-point, Cabernet leads, followed by French Champagne and wines from Bordeaux. Chardonnay Stalls: No growth in Chardonnay and some markets are experiencing negative growth on Chardonnay case-wise. Pinot Noir Stalls: Some case volume reductions on Pinot Noir though prices are still rising. Red Blends: Red blends are “still on fire,” and he sees no premiumization of red blends, that they are “stuck” at $8.99 or $9.99 price point, good for us. Zinfandel Outsells Merlot: Trone said Zinfandel has come up and is even outselling Merlot, which has continued to drop. 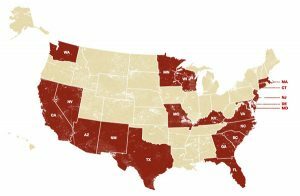 Dry Rose Zooms: Rose sales rose 50 percent in 2017 at Total Wine and another 50 percent in the last four months of 2018. And speaking of delivery BevMo! “Is the leading alcoholic beverage specialty retailer in the western United States, with nearly 170 stores located throughout California, Arizona and Washington.” They have begun a curbside program at two of their California stores where there are designated parking spots for those who have texted their orders to wait for delivery to their car, sort of like the McDonalds waiting queue. Wonder if Jeff at Famous in Forest Park would have hired me as his delivery driver if I had stayed around??? 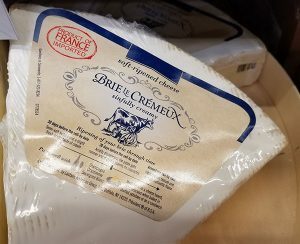 And speaking of Costco, I have discovered a very enjoyable triple cream Brie at the very reasonable price of $6.99/lb. It has a tasty rind so you don’t have to worry about trying to scrape it off and there is information on the wrapper that tells you how creamy it gets as it ages forward, must try. Say is it my imagination or are there a lot more “in-store discounts” at Costco these days?? ?